Carry Me Away highly recommends using baby slings right from birth! The baby carriers and sling types listed here can all be used with newborn babies from birth to at least 6 months of age. 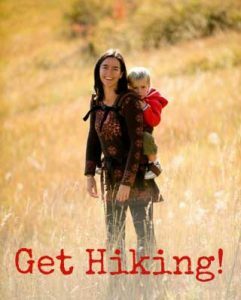 Many of these baby carriers can be used for much longer, as well! 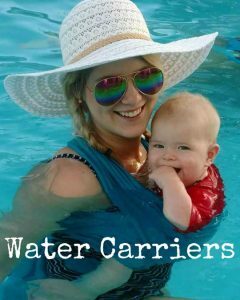 However, if you are shopping for a carrier for a newborn, consider one of these options. There is an even wider variety of baby options once your baby has good head control (usually between 4 and 6 months of age). Please note that this list has our favorite carriers for use with a newborn. This excludes carriers that require additional infant inserts. However, for families needing to make one carrier work from newborn through toddlerhood, you might also want to consider those carriers. To learn more about the best carriers for use with a newborn, read our article here. Quick carrier picks for newborns: we think every babywearing household should have a stretchy wrap or a mei tai AND a ring sling. Please always check with your healthcare professional about your choice of baby slings and about the proper positioning of your child in the baby carrier, especially when using the carrier with a newborn.